Why Use Notebooking in High School? 1. Personalized Learning. Notebook pages give students a place to record what they know and what they found interesting from their reading. I always encourage my boys to go further as they find topics of interest. They learn research skills as they ask their own questions and then find the answers. 2. Encourages Creativity. Using notebook pages gives the opportunity for a balance of writing and artwork. My boys welcome the variety of ways you can build a notebook page including drawing maps or diagrams, finding images to include, or copying quotes. 3. Convenient Way To Organize Information Across the Subjects. Learning is not confined to just one particular subject in isolation. Notebooking can combine subjects to make an interesting follow-up project. Literature and History-Biography of an author or more in-depth information about the setting or character’s time period in history. History and Science-Biography of a scientist or a timeline of inventions. Art Appreciation and History-Information about the art time period, other artists working at the same time, biographies, and other influences on the artist. 4. Budget Friendly. Once you have access to a few basic sets of notebook pages there is no need for workbooks or fill in the blanks type pages you use up and don’t look at again. 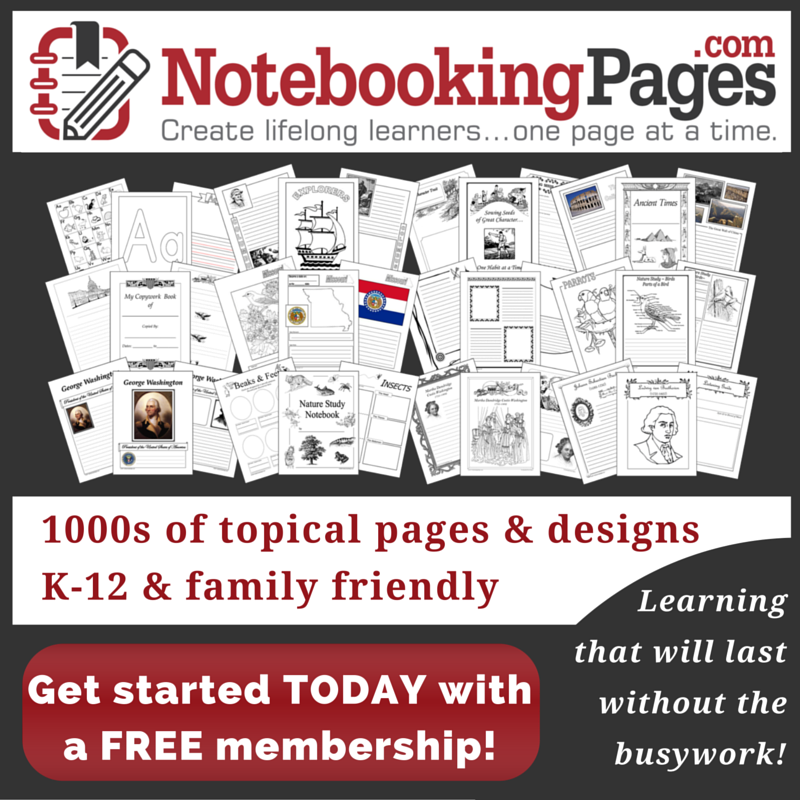 Notebooking pages can be printed on demand which frees up your time for other aspects of homeschooling. 5. Great for Review and Long-Term Retention of Information. Use notebook pages to review before college testing such as the SAT or SAT subject tests. Notebook pages can also be used to refresh your memory as you build transcript records or high school portfolios. My boys page through their notebooks for a quick review at the end of each term-much more interesting than reviewing a workbook. 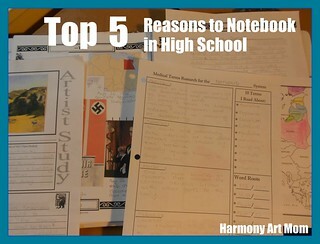 Read more about notebooking in our high school years: Notebooking for High Schoolers. Disclosure: Please note that I am an affiliate for NotebookingPages.com and I receive a small commission each time you click a link from my blog and make a purchase. ← What To Do With Space? It’s official – I’m a full fledged Notebooker. I’ve loved the Bird Notebook pages – and yours of course. I’m really having fun with the President’s pkg we purchased. I ordered the sale year pkg today. Thanks for the encouragement.